W O R L D - C L A S S B R A N D S F O R Y O U R B U S I N E S S.
We understand that your industry has unique challenges that require custom, specialized equipment and hardware. That's why we only work with the best-in-industry brands to ensure our automation solutions provide the highest level of quality, reliability and longevity. 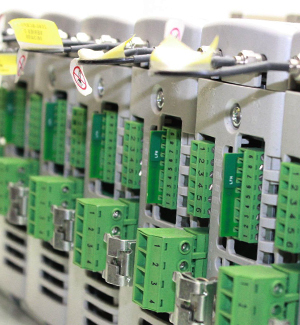 We are experts in Allen Bradley hardware and have 20+ years of experience working with their product suite including: circuit and load protection, computer and operator interface, condition monitoring, connection devices, drives and motors, energy monitoring, I/O modules, lighting control, motion control, motor control, networks and communications, power supplies, programmable controllers, signalling devices, relays and timers, sensors and switches, signal conditioners, as well as safety products. We also specialize in other top-industry brands including: Reliance Electric, Parker Saftronics, Lenze, SEW, ControlTechniques and GE.